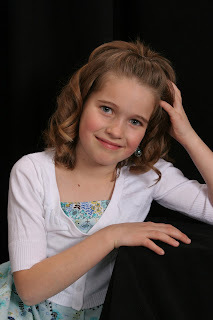 The Knotwell Family Blog: Happy Birthday Emily! I can't believe how big she is!!! We're excited to see the big dunk Saturday!!! Happy Birthday Emmi!! NO WAY little Emily is 8. I can't believe it! She looks so grown up and gorgeous. I see so much of Jill in her. Hi Jill! I'm stalking you through your blog. Be afraid. Your family is gorgeous and I can't freakin believe you have an 8 year old. She is so cute! Happy day Em!! Congrats on the big day!! Happy Birthday Em! I just love you Em and love getting your hugs each Sunday. You are an absolute doll and are so beautiful and kind Emily. The other girls love you and look up to you so much. You are an angel! Congrats on your baptism babe!